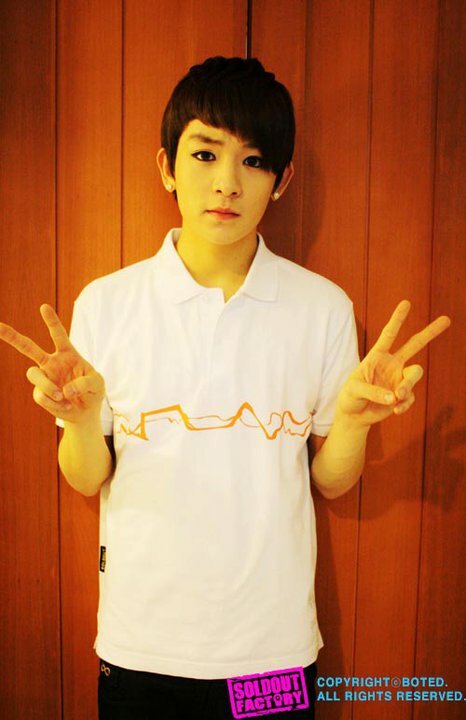 Ricky was born on 27th of February, 1995. His hometown is Sillim in Seoul. He has a brother who is four years older than him. Everyone says that he looks like his brother but he is gentler and nicer. He was graduated from Nanwoo elementary school and Namgang junior high school. He can’t eat cucumbers. He just can’t eat any green-colored vegetables. He was very fond of and continued to believe in Santa Claus because of the present he received when he was in pre-school. He feels that he look the most handsome when he looks at himself in the mirror after taking a shower. He joined a talent agency when he was in middle school. Before debut, Changjo was Ricky’s couple. L.Joe said that Ricky was the one who welcomed him warmly when the first time he went to the practice room. Ricky ya~~ you re more than CUTE!!!! Ricky oppa! !,why are you so cute?!! !still love you! Ricky oppa,why are you so cute?still love you! !